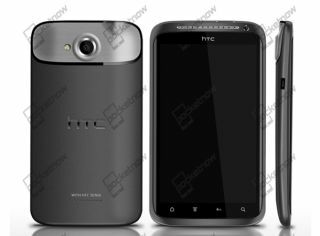 HTC to be pipped to quad-core phone crown? Reports suggesting that the HTC Edge is set to be the first phone with a quad-core processor may be wide of the mark, as LG, Samsung and Motorola also seem to be vying for this accolade. With the arrival of Nvidia's Tegra 3 chip this week phone enthusiasts are giddy with excitement over the thought of the chip powering next-gen smartphones. And, in the blink of an eye, rumours that the first smartphone to brandish the chip would be the HTC Edge abounded. But DigiTimes is reporting that a number of manufacturers have already added the chip to their line-up, although it did not specify which smartphones will come with Tegra 3 inside. "Prior to HTC, players such as Samsung Electronics, LG and Motorola have already adopted the quad-core processor for smartphones, and Asustek will use the processor in its upcoming Transformer Prime tablet PC," explained the blog that seems to have the inside skinny on many a device's innards. We already know that the Asus Eee Pad Transformer Prime tablet will come packing quad-core but it sounds as if we're in for a bevy of smartphones at Mobile World Congress 2012 which make use of Nvidia's chipset and some coming before the purported HTC Edge release date of April 2012.